Click here for Mapquest Turn by Turn Directions! 1. Take Route 1 South towards Downtown Philadelphia. 2. Merge Right onto SR 32 (Old Lincoln Hwy/W Bridge St). 3. Take the US 13 Exit Ramp onto US13. 4. Stay straight on US13 for about 1.6 miles and turn Right onto Levittown Pkwy. 5. Saint Michael the Archangel will be on the Right. 1. Take 95 South towards Philadelphia. 2. Bear Right onto US 1 (W. Lincoln Hwy). 3. Once on US 1 bear Right onto US 13. 4. 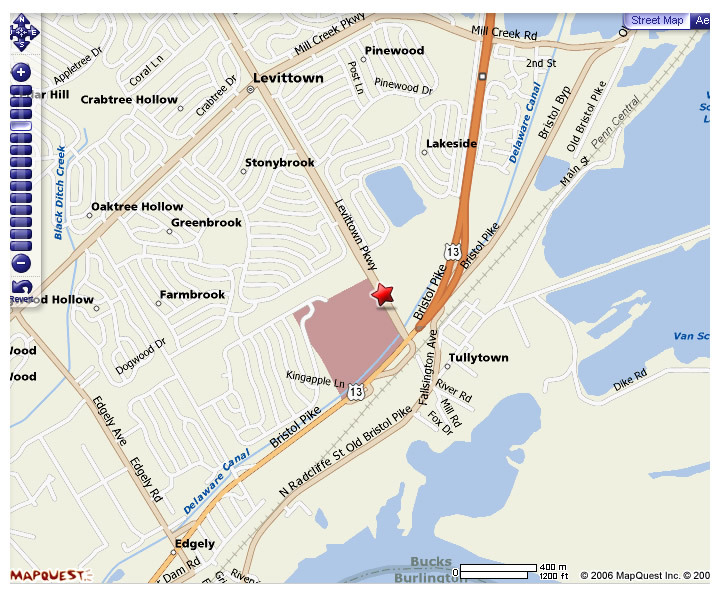 Take US 13 for about 1.6 miles and turn Right onto Levittown Pkwy. 1. Take 95 North until you get to the SR 413 (New Rodgers Rd) Exit. 2. Merge Right onto the Ramp and turn Right onto SR 413. 3. Continue straight and turn Left onto US 13 (Bristol Pike). 4. Travel straight down US 13 and take the Levittown Pkwy jug handle . 5. Arrive at Saint Michael the Archangel on your Right.